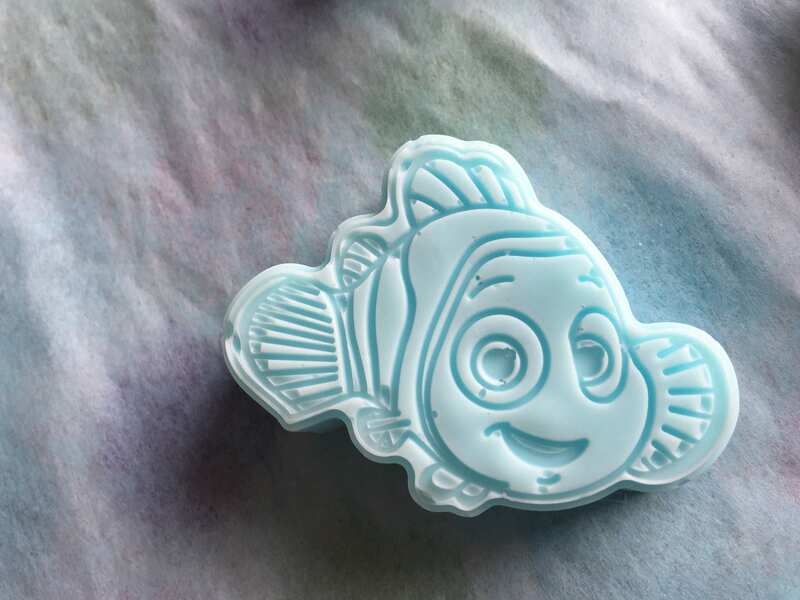 This is a set of 7 small finding dory shaped handmade soap. 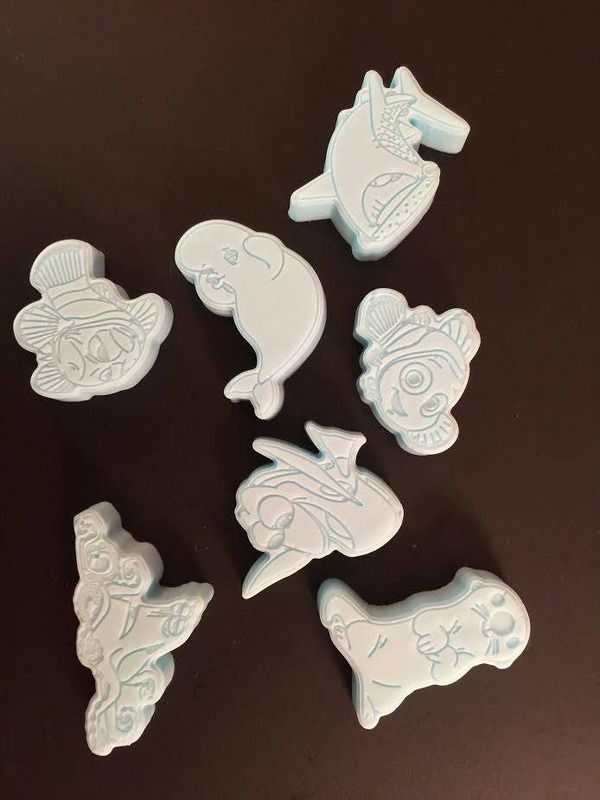 The fragrance is bubble gum (blue) for the pictured soap. ( We are working on better photos). 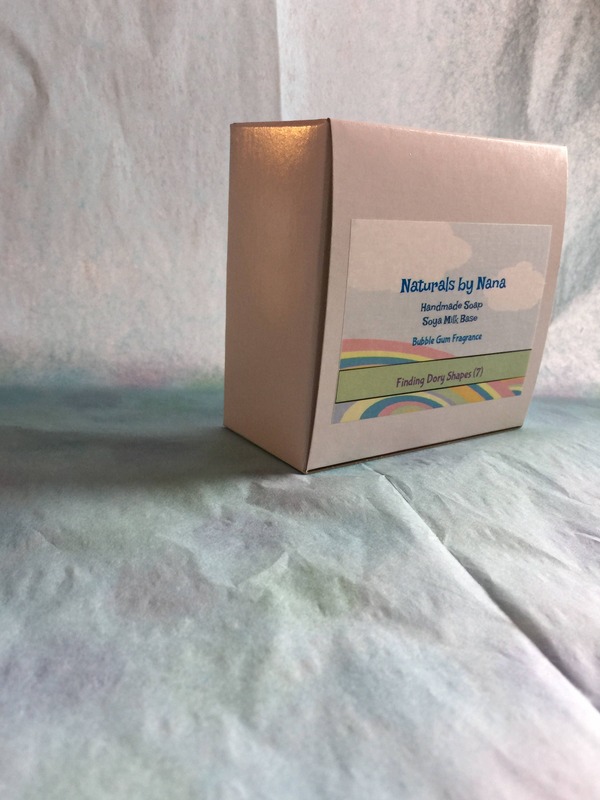 These little soaps will have your little girl or boy looking forward to bath time, and washing their hands every time she gets a chance. 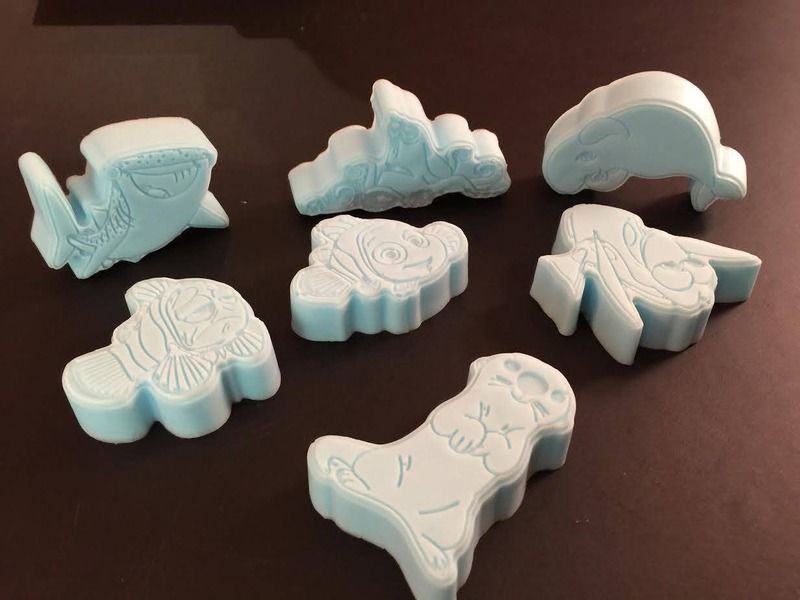 These soaps make a great gift. We will also gladly make a set for you in the color and fragrance of your choice. You can go ahead and purchase these and in the comments state the color and fragrance you would like. 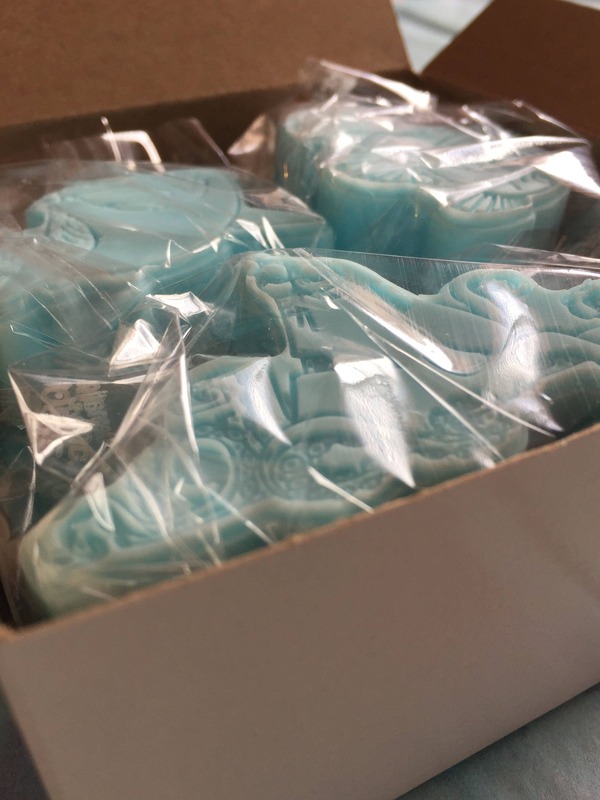 Please allow an additional 2-3 days for shipment of custom made soap. We have these ready to go in the following fragrance/colors. The photo is of an actual set. They are individually wrapped in one box. (Photo is the actual packaging). Great for a gift or can be used for party favors. Shipping is based on the weight - size - destination of the package.